Looking for some inspiration? Well, lean in. 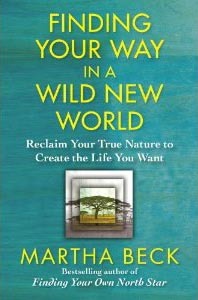 Martha Beck has written a new book, Finding Your Way in a Wild New World, and I’m hosting a virtual book club to celebrate. Oh, it’s going to be wild. Martha Beck is smart — three Harvard degrees smart — and yet she is still hilarious. More importantly, she is sharing tools that can transform your life. And since I want to be smart and hilarious, I plan to read her book immediately and repeatedly. Won’t you join me? Pour yourself some tea or wine or Rockstar and get on the horn with your tribe. 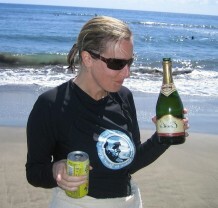 To join, email me at wendy@damnthirsty.com. Finding Your Way in a Wild New World is a remarkable path to the most important discovery you can make: the knowledge of what you should be doing with your one wild and precious life. It’s a journey to the thing that so fulfills you that, if someone told you, “It’s right outside—but watch out—it could kill you!” you’d run straight toward it, through the screen door without even opening it. Life coach and bestselling author of Finding Your Own North Star Martha Beck guides you to find out how you got to where you are now and what you should do next with clear, concrete instructions on tapping into the deep, wordless knowledge you carry in your body and soul. Who can resist all that? Hope to find you there.